Pick your poison: Vampires, devils, werewolves, faeries, or . . . ? Find them all here in Holly Black's amazing first collection. In her debut collection, "New York Times" best-selling author Holly Black returns to the world of Tithe in two darkly exquisite new tales. Then Black takes readers on a tour of a faerie market and introduces a girl poisonous to the touch and another who challenges the devil to a competitive eating match. Some of these stories have been published in anthologies such as "21 Proms, The Faery Reel, " and "The Restless Dead," and many have been reprinted in many "Best of " anthologies. 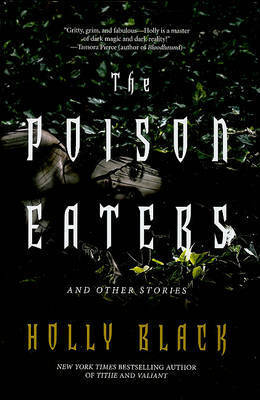 "The Poison Eaters" is Holly Black's much-anticipated first collection, and her ability to stare into the void--and to find humanity and humor there--will speak to young adult and adult readers alike. A Junior Library Guild Pick. Illustrated by Theo Black. Holly Black is the author of "Tithe: A Modern Faerie Tale" (an ALA Best Book for Young Adults) and two related novels, "Valiant" (Norton Award winner) and "New York Times" bestseller "Ironside." Her latest novel, "Black Heart" is the third of a new series, The Curseworkers. She and Tony DiTerlizzi created the best-selling Spiderwick Chronicles. Holly lives in Massachusetts with her husband, Theo, in a house with a secret library. Holly Black's first novel "Tithe: A Modern Faerie Tale," was published in 2002 by Simon & Schuster. "Tithe" received starred reviews from "Publishers Weekly" and "Kirkus Reviews," and was included in the American Library Association's Best Books for Young Adults. Holly has since written two other books in the same universe, "Valiant" and a sequel to "Tithe, New York Times" bestseller "Ironside." "Valiant" was a finalist for the Mythopoeic Award and received the Andre Norton Award. Holly collaborated with her long-time friend, Caldecott Award-winning artist, Tony DiTerlizzi, to create the bestselling Spiderwick Chronicles which include eight novels as well as the lavishly illustrated "Arthur Spiderwick's Field Guide to The Fantastical World Around You, The Notebook for Fantastical Observations, " and "Care and Feeding of Sprites." The Chronicles have been translated into 32 languages and been into adapted into a major motion picture. 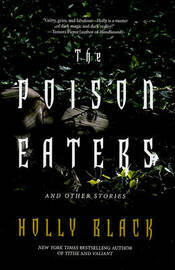 Holly has also been a frequent contributor to anthologies, and has co-edited three: "Geektastic" (with Cecil Castellucci), "Zombies vs. Unicorns" (with Justine Larbalestier), and "Bordertown" (with Ellen Kushner). She is working on "Black Heart," the third novel in The Curse Workers series--about capers, curse magic, and memory--which follows "White Cat" and "Red Glove." Holly lives in Massachusetts with her husband, Theo, in a house with a secret library.